Esther is our guest designer for the double page team this month! Hello, I’m Esther, 40 years old. Together with my son from 10 years old, and husband I live in Almere, the Netherlands. I work part time as a financial administrator by an importer for photography supplies. How lucky can you be? Beside to my scrapbooking hobby I like to go hiking, geocaching and traveling. Of course these are the perfect combinations with taking pictures to scrap. With a husband, who is a hobby photographer, I always have the choice of a lot of great pictures for my layouts. When I scrap I love to work with sketches. Usually I make double page layouts. When I have a sketch for a single page, I combine these often with a layout template. 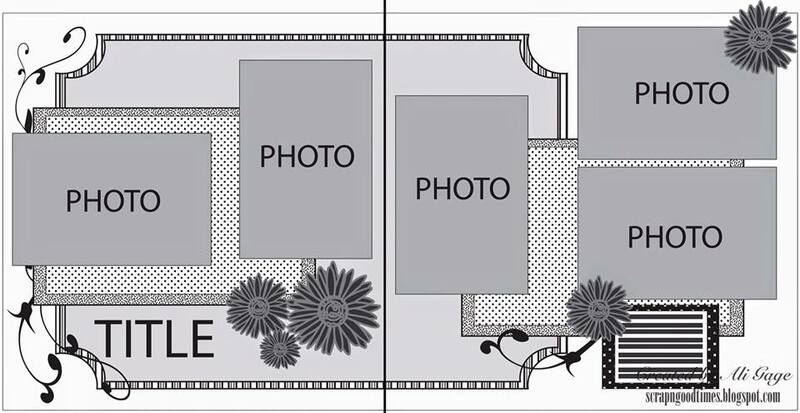 This is a great way to put a lot of photos on a layout. I’m a “clean” scrapper. Yes, I also like all the mix media products and use them, but almost never very much on one page. Something I always do is inking the edges of every photo and piece of paper on my layout. Further I really like to use rubons and (letter) stickers. 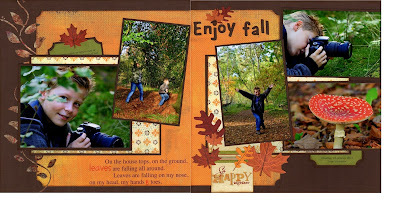 When you want to see more of my layouts, please visit my blog www.essiesscrap.blogspot.nl . When you want to be updated when I post a new layout, follow this blog by email. Thanks for choosing me as a guest designer at Stick it down. Great layout Esther! 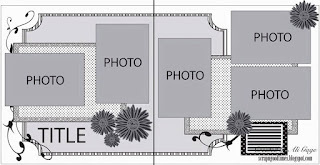 I prefer to do double layouts as well, yours look absolutely fabulous! Congrats and I love your LO and those are great photos of your son.